No matter what area in your business from your website to your social media, to your sales, you need to measure them and track them if you want them to improve. While this may seem elementary, most businesses we work with do not do that. Or if they do, they don’t measure the right things with the right tools. Google+ or Facebook? How To Get The Most Bang For Your Buck. Google Changed Everything For 2014. Why Your SEO Reports Are Wrong… And How You Can Now Beat The Big Guys! Google Changed Everything For 2014! The Hummingbird That Is An Elephant. Why It Is Is Good News For Small Local Companies. Your SEO Reports As Of 2014 Are Wrong And If You Are Local, You Can Kick The Big Boys Butts! If you are getting SEO reports from any of the major services as of January 6, 2014 the information you are getting has about a 99.99% chance of being drastically flawed. Or in plain English, wrong. Here is why. You may or may not be aware of this but Google has come out with some major change to their Algorithm in the past 60 days and I do mean major. The latest one was called Hummingbird, but it packed the punch of an Elephant and most people are not aware of this yet. This has lead to under and over reporting by every single known SEO tool we have looked at and used. And we do mean all of them! If you compare any of them you get wildly varying results both good and bad but in the mean, they are incorrect. Here is the real story… Enjoy.. I have posted the short version and another longer one. Would love to hear what you think. God Bless you and yours on this most splendorous of Truly American Holidays! Happy Thanksgiving And George Washington’s Original Thanksgiving Proclamation. I have made a recording of George Washington’s original Thanksgiving proclamation and also Thanksgiving wishes from me. I have also included the transcript below. Going to re-post this every year. I think it is that good. Washington you can download it as an MP3 here. 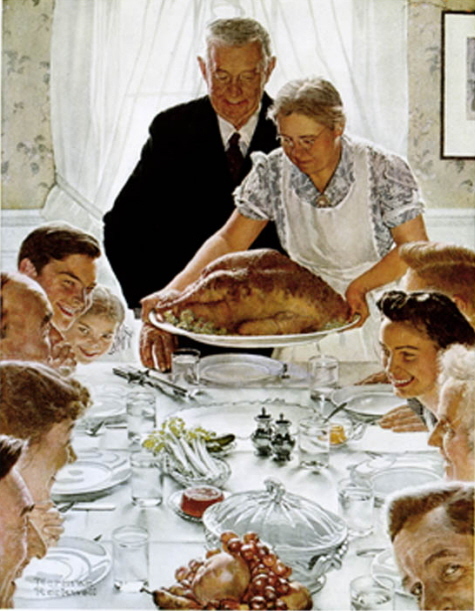 Shortly after the Thanksgiving Proclamation was written, it was lost for 130 years. The original document was written in long hand by William Jackson, secretary to the President, and was then signed by George Washington. It was probably misplaced or mixed in with some private papers when the US capitol moved from New York to Washington, D.C. The original manuscript was not placed in the National Archives until 1921 when Dr. J. C. Fitzpatrick, assistant chief of the manuscripts division of the Library of Congress found the proclamation at an auction sale being held at an art gallery in New York. Dr Fitzpatrick purchased the document for $300.00 for the Library of Congress, in which it now resides. It was the first official presidential proclamation issued in the United States. As I sit doing my every once in awhile inventory of what is swimming around in my noodle today, I actually woke thinking about the things that I thought that I knew. My mental world started getting rocked pretty early as my parents seemed to enjoy a somewhat different lifestyle than most. My Mom was a History and English teacher and my Dad worked in the Government with Computers way back when they were the size of a whole building and they were fairly well politically connected and because of this I got to do some very unique things at a young age. I figured out that truth be damned, adults believed what they wanted to no matter what. In this case, Mrs. Jarvis was indeed a twit. Is it any wonder I wrote her off as a twit at a tender age right then and there? It took me a week to figure out that even though I had a crush on her, she was an idiot. I have never been attracted to women with big calves or those that did not take me at face value since. Anyway, I digress here, after the Kennedy’s, I realized that there was something not quite right with politicians and a lot of adults at a very early age. 🙂 I hung mostly around adults that were pretty smart for the most part, but I actually got to know and lose respect for most grown-ups as a whole. So, I think I got the best of both worlds in that the farm grounded me, but hanging around a bunch of movers and shakers kind of rounded me out a bit. I learned to appreciate the farm much more than the politicians. At least the BS out there came out of the right end of the animals…LOL Yes, I lead a rather strange childhood, but all in all a rewarding childhood at that. I remember one of the first things that disabused me of the notion that things were the way you were told at school and what is out there publicly may not necessarily be true is that you can almost take to the bank that Alexander Graham Bell more than likely did not invent the telephone. Thanks, Mom! Boy did I ever pick a winner with Hootsuite. They have come to dominate in the Social Media arena and branched out and made their too even more valuable.